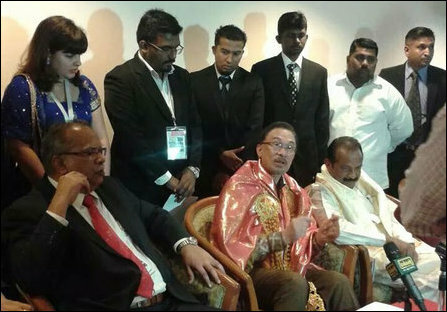 Malaysian and foreign delegates, who took part in an international Tamil conference, held in Georgetown, Penang, demanded UN referendum on Tamil Eelam, OISL investigations to also include genocide investigation and the international community to end Sri Lankan military occupation and Sinhala colonization of Tamil homeland. 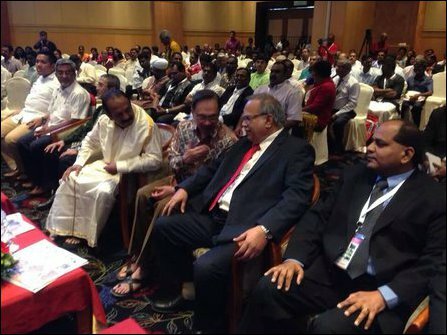 The conference was a success as it raised critical and far-reaching issues that often not raised in the Malaysian political milieu, Deputy Chief Minister of Penang, Professor P. Ramasamy, a long time advocate of the rights of Eezham Tamils, told TamilNet. Calling upon the government of Malaysia to reverse the continued marginalization resulting in poverty, unemployment, death in police custody and statelessness amongst the Tamils also identified as Indians in Malaysia, the conference also urged Indian government to protect the rights of Tamil fishermen and the international community to preserve, protect and promote the Tamil language, culture, identity and the rights of Tamil people around the world. 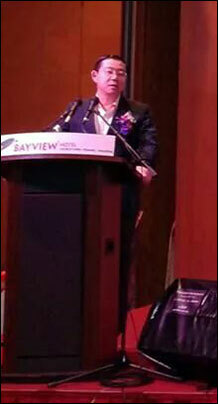 Central theme of the conference was “in search of identity.” Over 80 delegates from abroad and about 300 delegates from Malaysia attended the 3-day conference. The special guest for the conference was Mr. Vaiko, the Secretary General of MDMK, a long time advocate of Tamil issues in Tamil Nadu. 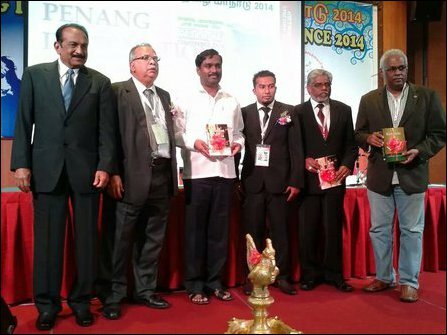 For the first time, the Penang Society of Advancement of Tamils backed by the Penang state government, has organized a significant international Tamil conference in history, said Professor Ramasamy, who was the patron of the conference. In his closing remarks, Mr. Anwar Ibrahim, the leader of the Peoples’ Coalition or Pakatan Rakyat, said that one of the biggest and lasting contribution of Tamils to the world is the Thirukku'ral. He urged Tamils and non-Tamils to understand the wisdom embedded in this historic and ancient text. 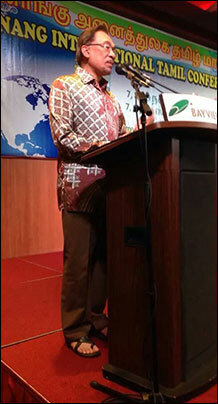 Anwar Ibrahim also thanked Tamils for contributing to the development of Malaysia. Anwar Ibrahim also commented about the atrocities committed by the Sri Lankan regime against innocent Tamils in the north and east of Sri Lanka. He said that what happened in the immediate aftermath of the war in May 2009 was a colossal human tragedy. He urged the United Nations to quicken its pace of investigation into the war crimes committed against Tamils by the Sri Lankan government and its armed forces and to bring to justice the war criminals. The conference was officiated by Mr. Lim Guan Eng, the Chief Minister of Penang and the Secretary General of the Democratic Action Party. It was Mr. Lim who urged the Malaysian government not to participate in the CHOGM meet in Colombo some time back because of the terrible human rights record of the Sri Lankan regime. Foreign paper presenters and delegates had came from Singapore, Indonesia, Mynamar, Australia, Tamil Nadu, India, United Kingdom, South Africa, Reunion Island, Mauritius, Canada, United States, France, and Tamil Eelam, Sri Lanka. During the conference, a special committee was formed to formulate resolutions to be adopted by the delegates. Eight resolutions, under the heading of Penang Declaration, were adopted without reservations. In many countries the growing marginalization of Tamils is a great concern for us. 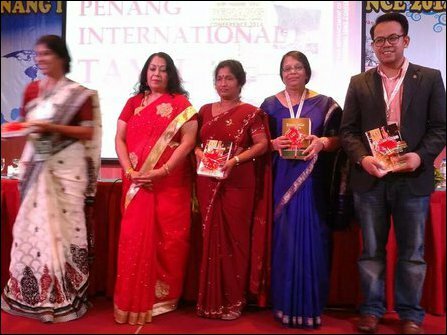 Tamils from 5 continents, namely Asia, Australia, Africa, Europe and North America, came together in Penang to discuss the theme of “Quest for Identity”. We urge the international community to preserve, protect and promote the Tamil language, culture, identity and the rights of Tamil people around the world. We call upon the Indian government to protect the rights, lives and livelihood of Tamil fishermen in Tamil Nadu. We call upon the government of Malaysia to reverse the continued marginalization resulting in poverty, unemployment, death in police custody and statelessness amongst the Tamils/Indians. In particular, we demand that education and job, business opportunity is provided as a right for the community. Central to this process is the enjoyment of equal citizenship rights and as enshrined in the Federal Constitution of the country. We call upon the United Nations and the international community to include the investigation of genocide of Tamils in Sri Lanka as part of an ongoing independent international investigation. We call upon the United Nations and governments to exert pressure including travel ban and sanctions on the Sri Lankan government in order to remove the barriers and threats to conduct fair and impartial independent international investigation. We call upon the United Nations and Governements to end the occupation of the Sri Lankan security forces in the North and East of Sri Lanka and to stop and remove the Sinhala state aided colonization since 1948. We demand the United Nations and the International community to recognize the traditional homeland, the existence of Tamil nation and the rights of Tamils to self-determination. Thus an UN monitored referendum for a sovereign Tamil Eelam should be conducted among Eelam Tamils of North and East in the island of Sri Lanka and amongst the Diaspora Tamils. We agree to set up an international Tamil Secretariat in Penang, Malaysia to act as a bridge amongst the Tamil Dispora with the aim of advancement of Tamils.